Where are your social and Google advertisements linking to? What about your email marketing campaigns? If the answer is always your website’s homepage, or even a product page, it’s time to cut that out and learn about the power of landing pages. These specific types of pages clean out the clutter of regular websites and are meant to significantly boost conversions. 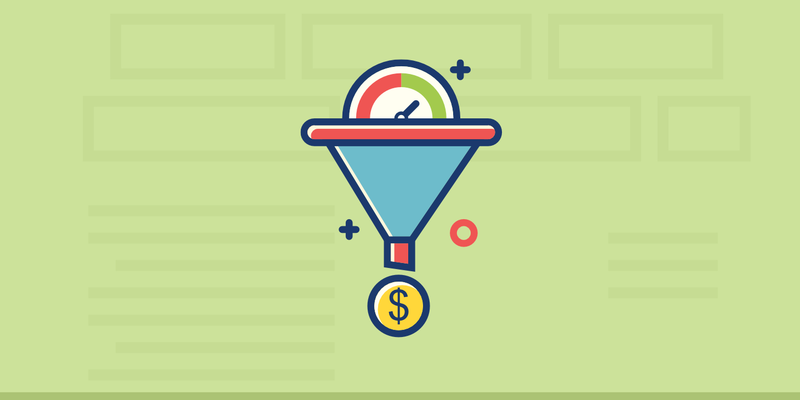 They do so because they are highly-targeted throughout the entire sales funnel, from the ad content down to the content on the page. Luckily, it doesn’t take much work or cash to make a quality one, as long as you’re working with a well-developed plugin. And of course, with WordPress, you have a lot of great options to choose from. Why Do You Need a WordPress Landing Page Plugin? Before we dive into all of your landing page plugin options, let’s take a look at why you might want or need one. Since landing pages are designed to present visitors with targeted content, they are far more likely to convert. These types of conversions vary, but they might involve signing up on a form, buying a product, or joining a webinar. Whatever the case, these types of plugins can help with your CRO. Landing pages often get linked to from online ads. The reason for this is because linking directly to your website homepage leaves the customer with limited information on where to go next. A landing page, however, accurately reflects the same message you created in the ad, minimizing confusion for the user. Leads are generated through places like email, social media, and search traffic. You can bet that a strong percentage of these leads are lost when sent straight to your website. Therefore, those links should be swapped out to lead to a landing page. There are different types of landing pages. Some of them might be PPC only, but others might be created for SEO purposes (or sometimes even both). As long as your landing pages are keyword optimized, user-friendly, responsive, and speedy, they should help out with your SEO. After all, the more landing pages you publish the better chance you have of finding your site on the front page of Google. You can then take advantage of the high-converting landing page on organic traffic. The goal with a landing page is to capture leads and turn them into conversions. A bonus of increasing your conversions is that this is where customers hand over their data. You learn about the pages they visit, whether they’re visiting on mobile or desktop, and much more. This way, you can re-target customers in the future with better ads, emails, and landing pages. A word of warning here is to beware of GDPR. If you are collecting any type of information or pixel data about a user, you need to always ask for consent first. Marketing offers are often mixed in with other content on your website, decreasing their overall effectiveness. Landing pages typically focus on one or two products without any of the extra clutter. Pair that with a marketing offer for a great way to incentivize the sale. Drag and drop elements – It’s nice to have a drag and drop editor. If not, you at least want builder elements relevant to landing pages. For instance, timers are great. You also want email subscription forms, text, media, and testimonials. Prebuilt landing page templates – The goal is to have landing pages for all products and services. As we learned, the more quality landing pages you have the better your SEO and higher your conversions. Therefore, you’ll want to speed up deployment time with the help of prebuilt templates. You can then quickly tweak the templates to match your company’s branding. A/B testing – Without A/B testing your entire landing page design is one big guessing game. Does your button color make people less likely to click? Does a page with testimonials help conversions or just clutter the interface? You can’t learn for sure without A/B testing. Email integration – Conversions and leads require data capture for selling to those users in the future. This is how you build your email list. Therefore, the best WordPress landing page plugins provide integrations with email marketing services like MailChimp and CampaignMonitor. Pricing tables – Pricing tables will probably be part of the drag and drop elements, but you don’t want to pay for a landing page plugin only to find you have to design your own. Media support – From videos to images, and documents to audio, media items are known to not only show more about your products, but they help out customers who are on the fence when it comes to converting. We’ve researched, tested, and broken down every respectable landing page plugin to show the best features, along with items that might make you lean towards one over another. Now it’s time to dive in! Elementor has a distinct advantage over other landing page builders in that the core plugin is provided as a free download. Now, you might be thinking that other options we cover also have free downloads, but Elementor is a little different. In fact, the primary drag and drop editor is not watered down in any way. With over 1 million active installs and a 5-star rating, the WordPress community loves this plugin! You can download the Elementor builder and start constructing landing pages without any need to work with any code. It works with pretty much all themes and plugins, and several pre-made templates are actually included in with the free version of Elementor. Overall, Elementor is one of the fastest tools for launching your landing pages. The drag and drop editor might even be better than Beaver Builder, and there’s a wide range of businesses that will be satisfied with what the free plugin download has to offer. Not only that, but the premium pricing starts at $49 for one site and goes to $99 for three sites and $199 for unlimited sites. So, if you’re trying to save money as a one-site owner, Elementor makes more sense than Beaver Builder. But Beaver Builder supports unlimited sites for $99, so it might be more appropriate for agencies and developers. As for the primary features, Elementor provides over 24 pro widgets and 75 pro templates. It integrates with Zapier, social media channels, and email marketing services, while also offering options for WooCommerce and forms. What Makes This WordPress Landing Page Plugin a Winner? The free version of Elementor has limitless design potential, seeing as how it’s a complete drag and drop editor with fluid movements and solid design modules. You also get a few templates so you don’t have to make your landing pages from scratch. The premium version starts at $49. It’s only limited to one site, but that helps smaller businesses and blogs keep costs down. Larger agencies and developers can always upgrade. In the premium version, you receive essential content modules like countdown timers, pricing tables, animated headlines, share buttons, and forms. You can save your widget or full design as a global widget. This way, you can move the widgets to different areas of your site or to new websites. The live custom CSS reflects your changes right before your eyes. It’s also an excellent way for advanced developers to make the landing pages look better. The WooCommerce integration lets you sell products directly from your landing pages. Pair that with some of the professionally designed templates and you can start selling within minutes. Beaver Builder is one of the most popular plugins in the page builder world, not only for landing pages but for full websites. You can create stunning layouts and landing pages that load fast and don’t take hours to configure. Beaver Builder has a free version with several content modules, many of which work nicely for landing pages. These content modules include options for video, audio, text editing, photo, sidebar, and HTML. You can also create those coveted full-width landing pages that are so useful. Many smaller companies should be fine making landing pages with the free version, but the premium Beaver Builder module is tempting as well. The premium pricing starts at $99 for a year-long license on unlimited websites. Since it covers all the websites on your network, most companies won’t need to upgrade past this. Customer support, the page builder plugin, and the premium landing page modules and templates are all packaged into the $99 pricing plan. The only items you miss out on include the multisite functionality and the Beaver Builder website theme. For those features, you would have to pay $199, or $399 per year if you want full white-labeling for an agency. Beaver Builder strives to make landing pages as easy as possible. It offers a file filled with templates made just for quick, professional landing pages. Some of the landing page templates are made for niche sites like law firms, eBook selling sites, and webinars. You receive some nice templates and content modules in the free version. If you need more, the $99 upgrade is still affordable for the number of features you get. The user experience is far superior to most other drag and drop editors on the market. Most content modules can be placed anywhere, and a complete beginner should have no problem making a landing page with templates and modules. Beaver Builder allows you to build your own custom modules if you need something a little different from what’s offered. You can save, export, and reuse full pages, layouts, rows, and modules for later use. The Divi Builder is well-known as a builder that works with most WordPress templates. It’s a full website builder along with an excellent WordPress landing page plugin. Elegant Themes sells the Divi Builder, so you’re required to signup for an Elegant Themes membership if you want access. This membership is ideal for developers who want more than a landing page plugin. The $89 per year membership provides access to all themes and plugins from Elegant Themes. These are some of the most beautiful themes you can find, and the plugins provide everything from social media sharing to email optins. One advantage of an Elegant Themes membership (and the Divi Builder,) is that you acquire a license to use the builder (and all other themes and plugins) on an unlimited number of sites. So, the $89 per year membership is quite the steal, especially for those with multiple sites or clients. Keep in mind, however, that the Divi Builder has no free plugin. When looking into the landing page features, you’ll find the sleek and powerful drag and drop builder. Divi also provides around 46 content modules, from audio players to calls to action, and social media buttons to pricing tables. You also get the contact forms and email marketing forms, which are so precious in the landing page game. Divi doesn’t have a free version, but it beats out most premium competition by providing a low yearly rate for dozens of additional plugins and themes. Divi provides 46 content modules at the time of this article, and that number usually goes up with the constant development from Elegant Themes. You can add custom CSS for applying custom styles and adjusting individual modules that aren’t quite right for your brand. Duplicate any element or design within seconds. Then transfer it over to another site or page for easy starts elsewhere. You’re never without the right features for your landing pages, mainly because of the Elegant Themes plugins. These include options for email marketing, email optins, social sharing, and much more. Qards is one of the lesser-known WordPress landing page plugins, but it allows for you to build stunning landing pages without any coding skills. The whole point of Qards is for webmasters to pump out landing pages without any hitches. It runs off of a drag and drop interface with cards that you can move above or below each other. Each design is fully responsive, and many of the cards are predesigned for simplicity and flexibility. You can also link to your MailChimp account to bring in leads and drop them right into your email database. One of the main reasons we like Qards so much is because of its seamless media support. It allows for YouTube inline and background videos, and you can place images and audio clips wherever you want. The custom CSS and HTML areas are great for more advanced designers, while the grid styling comes into play when you’re trying to organize content without any code. Qards does have a free version for one domain. The cards and features are limited, but you still receive the MailChimp integration, customization tools, predesigned blocks, and Google Fonts. The first premium plan goes for $99 and that gets you every pro feature. One downside is that Qards doesn’t seem to have any prebuilt templates to expedite your design process. A free plugin is offered with email subscription tools and some quality design blocks. The $99 pricing for one site is somewhat reasonable. Qards is truly one of the easiest visual landing page builders. You’re not inundated with too many complicated controls, as most of the design revolves around dragging items up or down. Several predesigned blocks are included for things like footers, covers, images, grids, and menus. Qards has a direct integration with MailChimp, and the blocks made for email subscriptions are as beautiful as they come. Instapage focuses on the goal of converting advertising dollars into conversions. Its main offering is for building landing pages, but there’s also a full collaboration tool, page builder, and optimization engine. You may have noticed that not many of the previously mentioned WordPress landing page plugins have much in terms of A/B testing. If that’s what you’re looking for, Instapage is the right solution for you. Instapage is a full suite of tools, with excellent A/B testing for seeing which elements work the best. You also get heat maps to see where people click, along with dynamic text replacement depending on who is clicking around on your site. The page builder provides drag and drop widgets for items like CTA buttons, videos, and more. The collaboration tools are excellent for providing instant feedback on designs and making real-time edits for other people to see in your organization. All of the sharing modules are completely secure, and you can also chat with others while editing items on the landing page. Overall, Instapage has the most impressive set of features, but it’s going to cost you. Instapage’s Core plan starts at $69 per month and that gets you everything from real-time collaboration to 20 integrations. The $99 per month Optimizer plan is where you’ll see the A/B testing and heatmaps. Instapage also sells agency and enterprise plans if you need those. Instapage offers more than landing pages, with a full suite of collaboration, optimization, report, and page building tools. The page builder has a template for every need. So, if you’d like to a landing page for a webinar, there are plenty of options for you. If you’d like to sell an eBook, it has that too. In fact, over 200 customizable templates are provided in Instapage, making it the largest library we could find. You gain access to the Bigstock image library, which boasts more than 33 million stock images. The collaboration tool is wonderful for those making landing pages with multiple people. You can send instant feedback and generate secure links. I also enjoy that the creator sees immediate edits. OptimizePress is yet another landing page suite, similar to that of Instapage. It’s made for marketers who want far more than a simple landing page builder. In fact, you can create landing pages, sales pages, membership portals, launch funnels, and authority blog sites. If you don’t need all of this, skip it. However, it’s worth looking into for the $97 one time fee. I initially couldn’t quite believe the number of features packed into OptimizePress for that price, but the company does a good job of providing options for building unlimited pages on the cheap. If you’re more interested in using A/B split testing and gaining access to video background and advanced design elements, the $197 price point is more up your alley. Another reason OptimizePress stands out is because the WordPress landing page plugin doesn’t stop working after every renewal period (one year). The only thing you have the option to pay for every year is the support and updates. When pitting OptimizePress up against some of the other WordPress landing page plugins, I like it best for those who are in need of A/B testing but don’t want to pay the high price over at Instapage. The support team has also been known to be quite friendly, so that’s a bonus too. The $97 one-time fee gets you the majority of landing page building features, along with unlimited support for leads and traffic. Although it’s a price hike from the smallest plan, a $197 one-time fee isn’t that bad for A/B testing and some other cool features like page engagement actions and video backgrounds. The landing page templates are already optimized to convert as many users as possible. OptimizePress provides additional options for making membership portal websites, sales pages, authority blogs, and launch funnels. The LeadPages landing page plugin, or really the service, comes with more than 130 industry-based templates and simple design modules for items like popup forms, social media, and contact forms on your landing pages. LeadPages can be used for making all sorts of sales and landing pages, but some of the more unique features come into play when seeing how it stacks up against the competition. For instance, LeadPages has a Facebook Ads feature for instantly combining with your ads to make the perfect landing pages for those social customers. It also provides built-in payments for when you’d like to make a sale right from the page. The drag and drop customization is done without any coding, so you can create, copy, and clone any pages throughout the process. The LeadPages pricing has an annual plan where you get two months without any billing. The cheapest plan is called Standard, and it costs you $31 per month. If you’re trying to collect payments and drive traffic with Facebook ads–and get some other great premium features–the pricing shoots up to $66 per month. The one disadvantages is the Leadpages isn’t as tightly integrated with WordPress as some of the other alternatives. The drag and drop builder and template collection is quite impressive. However, LeadPages is more for those companies that need some unique features like the Facebook Ads integration. You can take direct payments and send customers through a checkout process, right from your landing page. LeadPages offers weekly coaching calls, something that you can’t find with any other WordPress landing page plugin. Over 160 free landing page templates are packed into LeadPages, making it one of the larger libraries. One of the plans has A/B testing. If you’re familiar with Thrive Themes, you know all about its robust set of premium plugins and themes. From its headline optimizer to the Thrive Quiz Builder, the company knows what customers want and makes impressive products to match those wants. Thrive Architect is no exception. The Thrive Architect product is a visual editor and page builder for WordPress, and its primary advantage is its simple process for making landing pages. The instant dragging and dropping removes most obstacles you might encounter on other page builders, and my tests show that there are very few glitches or instances where I couldn’t customize an element. Over 200 landing page templates are included with Thrive Architect, all of which are optimized to improve your conversions, regardless of what you’re selling. Sales and optin pages are covered in full, and you can even find some more specific industry landing pages for webinars and other similar options. The design elements are all prebuilt, including items like testimonials, countdown timers, and email marketing forms. The single site license falls in the middle of the road compared to other WordPress landing page plugins, at $67 for all Thrive Architect features, unlimited updates, and support for one year. Two other pricing plans are offered, but they all have the same features. The only difference is that you pay more money to use the plugin on multiple websites. So, a five-license pack costs you $97, while a 15-license pack runs you $147. Click to tweet sharing plugins. Thrive Architect has a hefty set of integrations, so I would argue that it’s a reasonable WordPress landing page plugin for those who don’t need the powerful suites like Instapage and OptimizePress. Thrive Architect starts at $67, so you’re not paying as much as other premium landing page plugins, but you still receive some excellent content modules and integrations. Some of the integrations include email marketing tools like MailChimp, Webinarjam, WordPress, Mad Mimi, and Twitter. Conversion-focused content modules are included just for landing pages. Some of these include call to action buttons, testimonials, animated countdown timers, and content boxes. Thrive Architect provides animations and hover effects without the need for complicated coding or setting changes. The high-converting landing page templates are some of the most beautiful we’ve seen, and you have a huge library to sift through. InstaBuilder is sold on a flashy landing page itself, so you get a chance to immediately view what your own landing pages can look like. The single license is listed at $47, and the unlimited license sells for $77. When compared to other solutions, it’s a pretty good price, especially for those developers or network owners who want to use the landing pages on multiple websites. The one thing to remember about InstaBuilder is that it’s completely centered around building landing pages. This isn’t a website drag and drop builder like some of the solutions we’ve talked about above. It’s meant to pump out landing pages fast–ones that convert and grab leads for your company. To start off, InstaBuilder provides over 70 quality landing page templates. These are basically combinations of the content modules provided through InstaBuilder, and they look wonderful for general and niche marketing pages. Adding graphics is quite easy with InstaBuilder, seeing as how you only have to point and click to insert items like buttons, bullets, and images. I also noticed that it supports some less than well-known media formats such as EZS3 and EVP. InstaBuilder is another WordPress landing page plugin with rare features for companies trying to get creative with marketing. For instance, you can make a landing page with social media comments embedded into the page. There’s also something called a viral download lock, which locks whatever is on your landing page until the user shares it on Facebook or Twitter. Although the social networks have differing views on this type of marketing, it’s a cool feature to have when trying to build social buzz. The InstaBuilder plugin sells for an affordable price and you don’t have to keep renewing every year. Over 70 high-converting landing page templates are included with the InstaBuilder plugin. You can embed a wide range of media files, some of which aren’t as common as others. You can setup time delayed content, like revealing a Buy button only when the customer scrolls down to the bottom of the page. InstaBuilder has a viral download lock, which is basically a content blocker until the person shares on places like Facebook and Twitter. The email marketing system is rather flawless, with a smart optin system and an easy autoresponder to manage all of the people signing up. People can optin to your email list by using their Facebook account. 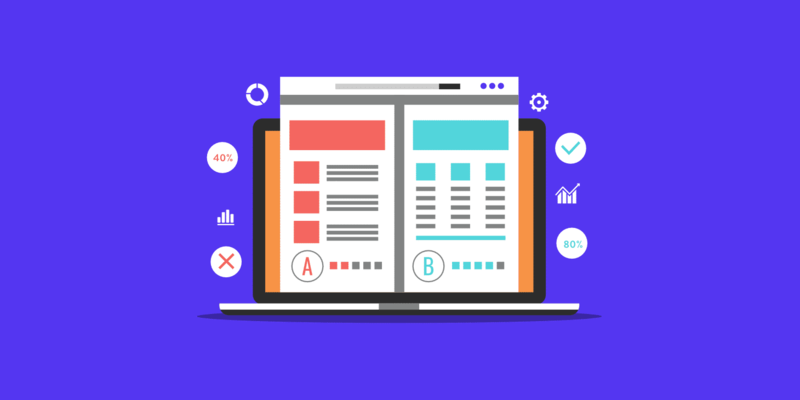 The simplified A/B split testing runs the tests for you instead of forcing you to guess which elements on the landing page need to be tested. You can insert social media comment systems and sharing buttons for the ultimate exposure. If all you’re looking for is free landing page templates, the Landing Page Builder plugin might have what you need. They aren’t the fanciest templates, but I’ve managed to design simple, modern landing pages with what they have to offer. And that’s the whole point. You’re not paying a dime, so you receive the starting foundation to what could become a valuable part of your business. You can set up an email subscription form and talk about your company or products. The page backgrounds are interchangeable, and the landing pages are created similar to how you would make a regular WordPress page or post. These landing pages aren’t made with a drag and drop editor, but rather the visual editor that comes with WordPress. So, for example, you would select a template with a form and some images and text. After that, you can go in and format the text and drop in your own images. The background images and colors are adjusted on the same page, along with fonts and font sizes. There is an advanced version if you’d like to graduate from what the free plugin offers. However, I see this plugin as an opportunity for small businesses and startups blogs to save a little cash but still have the power to make a respectable landing page. The final area that makes the free version quite useful is the integration with email marketing services like MailChimp and GetResponse. All that’s required is an API key or ID, then the landing page starts accepting email addresses from customers. It supplies a package of quality landing page templates for free. Although it takes a little extra design work, you have the chance to cut down on costs but still send people to a landing page that converts. 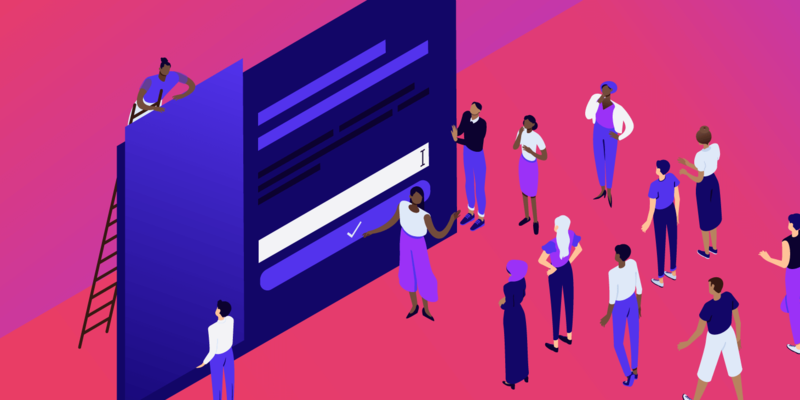 The Landing Page plugin connects to email marketing software like MailChimp, dropping email addresses directly into your list. Landing Page clears out most of the advanced features you would find on other WordPress landing page plugins. This is great for small businesses that only want the templates and nothing more. The landing pages are built using the visual WordPress editor, meaning that most WordPress users should be familiar with the format. This also gives you full control over how you design your page, whereas you’re often stuck with the content modules given to you by other landing page plugins. WPOnepager is one of the easiest WordPress landing page builders. In fact, the main purpose of this builder is to create landing pages. This page builder is absolutely unique than other page builders because it comes with readymade blocks and minimalistic settings. The developer team of WPOnepager built this tool so that anyone can create a landing page easily and very quickly. Now your mind might be questioning how quick? The developer team says it would take about 10 minutes, and I am pretty much sure that this is more than enough. You don’t need to drag any element or go through any complex settings. WPOnepager provides readymade blocks and templates, all you have to do is ‘insert and change the content.’ It’s that simple. Building landing page with WPOnepager is not only faster than some of the other, but you really can create beautiful looking pages. Its smooth, gorgeous animations will win over your heart. WPOnepager comes with a free version, but if you upgrade to the pro version, you get all of their pro features and blocks. The pricing of WPOnepager starts with $39 for 1 site, $99 for 5 sites, and $199 for unlimited sites per year. If you are looking for a landing page builder which will create faster, smoother, and beautiful pages, WPOnepager is a good choice. The WPOnepager free version comes with a huge collection of magnificent blocks and templates. It has the potential to create any type of landing page along with all sort of pages. It’s not a joke, you can really create your landing page and all other pages within minutes instead of hours. Every landing page in WPOnepager is highly optimized for web and entirely responsive. Your site will perform faster without delays. Integrate your favorite extension and work seamlessly. If you like to sell, integrate WooCommerce and start your online business with WPOnepager. Customize a block or template then reuse it at a later time in WPOnepager. You can even use them on different site. Which WordPress Landing Page Plugin is Best for You? As with all decisions about WordPress plugins, you want to take into account which of the features you’re actually going to use. Are you more interested in free templates or an inexpensive premium plugin? Would you rather a full landing page suite with conversion and communication tools or is a speedier interface more up your alley? The landing page plugin with the best value – Elementor or Beaver Builder. The landing page plugin with the most features – Instapage or OptimizePress. The best option for quickly building landing pages – Elementor or WPOnepager. The cheapest WordPress landing page plugin – Landing Page Builder. The best landing page plugin for an agency or developer – Divi. The right choice if you need A/B testing – OptimizePress. And that’s all we have to say about WordPress landing page plugins! If you have any questions about this list, or if you’d like to share your own experiences with these products, the section below is open for your comments. I am using WPbakery, and it could be a great landing page builder. Why it is not in the list?